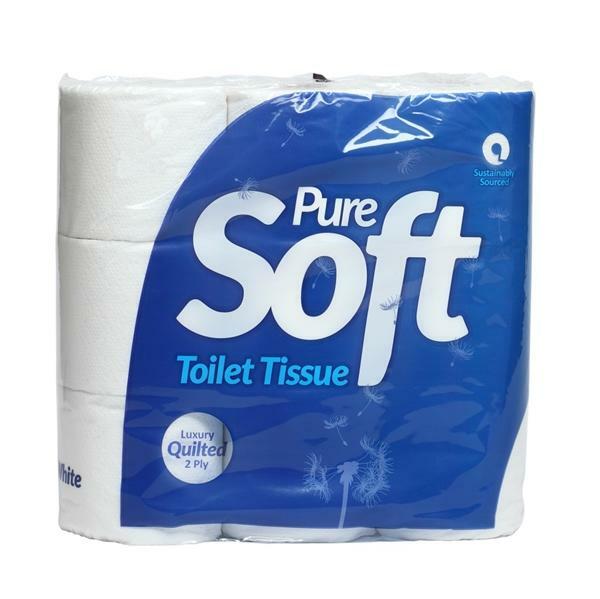 Our 2 ply quilted toilet rolls are really great value because they come as packs of 54 rolls. good quality item with a very good price. Works out at 17 pence a roll so incredible value. Not the thickest obviously for that price but not the thinnest either. Perfuctly adequate and really good value for money. A really good value 2ply tissue, no complaints! Soft, white, does the job at a great price. I thought we would give this brand a try but the toilet tissue disintrigates with the slightest hint of liquid. I don't wish to go into grafic detail online, but it really isn't worth buying. I am reordering my regular toilet tissue from Out Of Eden, which we have been very happy with for several years.